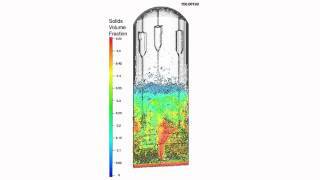 CPFD Software LLC, developers of process engineering software for fluidized reactors, today announced the formation of a Technical Advisory Board. The initial three members, Ken Peccatiello, Principal Consultant of Peccatiello Engineering, Stephen McGovern, Principal Consultant of PetroTech Consultants, Allen Hansen, VP of ClinChain, form the distinguished core group that will provide their expertise and knowledge to support CPFD in development and application of its Barracuda Virtual Reactor® simulation software and provision of support services for oil refining, petrochemicals and clean energy producers worldwide for design and optimization of fluidized systems. The CPFD Technical Advisory Board (TAB) advises the CPFD Board of Directors and executive leadership team on matters related to the technical agenda of CPFD. The TAB focuses on improving the product development roadmap, understanding engineering and process optimization requirements of operators and designers of industrial fluidized reactors and advising on fluidized catalytic cracking (FCC), petrochemical and polysilicon manufacture, coal and biomass gasification, and clean energy and related markets and technical trends. Ken Peccatiello has over 38 years experience in FCC and RFCC operations and technology including Director of FCC Technology for Valero Energy Corporation in San Antonio, TX and ChevronTexaco FCC Expert (worldwide). Ken also worked for WR Grace’s Technical Service division and as Technical Superintendent at the Lake Charles, LA catalyst manufacturing facility. Ken began his career with Amoco Oil in 1978 at the research facility in Naperville, IL where he was involved with multiple FCC studies and the development stages of RFCC, resid processing. He later became FCCU Operating/Process Engineer at the Amoco, Texas City, TX refinery. Ken holds a BSChE from The Illinois Institute of Technology. Stephen McGovern has over 40 years of industrial experience in many process technologies critical to the Petroleum Refining Industry. Prior to joining PetroTech Consultants, Steve’s industrial career had been spent with Mobil Corporation in the Research and Technical Service Division of their Corporate Technology Department. Steve has specialized in Hydroprocessing and FCC with many important contributions and patents in both areas. His understanding of cyclone fundamentals led to Mobil’s development of their Close-Coupled reactor cyclone system and their Cyclofines third stage separator system. He has been involved in the troubleshooting and improvement of many FCC units. Steve holds a Bachelors degree in Chemical Engineering from Drexel University, a Master’s degree and a PhD in the same field from Princeton University. Allen Hansen has over 26 years of industrial experience, including extensive work in FCC spanning hardware design, modeling, technical service, and hands-on operations. Prior to founding ClinChain who provide modeling and advanced optimization consulting services to the process industries, he worked for Aspen Technology and Mobil Research and Engineering. He holds a bachelor’s degree in chemical engineering from the University of Delaware, and a master’s and PhD in the same field from the University of Illinois Urbana-Champaign. 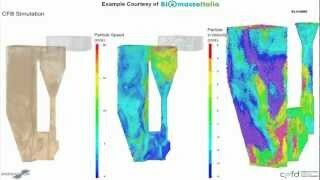 Founded in 2006, CPFD Software has developed the only engineering simulation technology with the ability to serve as a true Virtual Reactor™ for the design optimization of industrial fluidization units used in: oil refining; coal and bio-mass power generation and gasification; petrochemical reactors, e.g., polyolefins/plastics, acrylonitrile, titanium dioxide, polysilicon for photovoltaics; and for numerous clean-tech applications, such as chemical-looping and flue gas scrubbing. 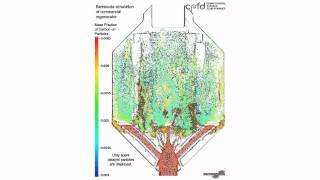 CPFD’s Barracuda Virtual Reactor® software can simulate complex 3D fluid-particle flows, including thermal effects and heterogeneous chemical reactions in any environment. 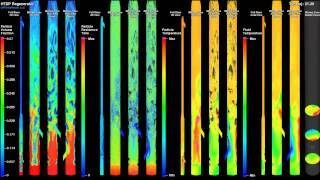 CPFD’s customers are using Barracuda VR® simulation to predict key process performance characteristics such as: fluidization regime; mixing and segregation; particle entrainment; location and severity of erosion; catalyst residence time; feedstock conversion; and product yield. 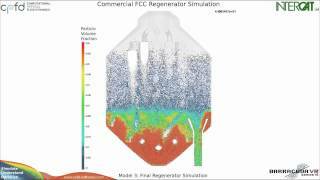 CPFD provides its Barracuda VR simulation solutions worldwide through licensing, applications support, and turnkey engineering simulation services. Barracuda VR simulation is deployed in engineering design, process optimization, troubleshooting and maintenance of fluidized reactors to increase production efficiency, to fix off-design performance problems, to reduce catalyst and product losses, to minimize operational risk in plant upgrades, and to reduce emissions and gas cleanup. Barracuda Virtual Reactor is used internationally by industry leaders including GE, SABIC, Aramco, Shell, BASF, Dow, Chemours, Technip, CB&I, INEOS, and B&W to increase on-stream reliability and gross margins, to reduce capital and operating costs, to support regulatory compliance, and to develop next-generation fluidization technology. Barracuda Virtual Reactor®, Barracuda VR®, Barracuda® and CPFD® are registered trademarks of CPFD Software, LLC.